Staying consistent on social and sharing valuable content can really help build up your fans and followers, as well as increase your small business’s brand recognition. But how do you know if the content you’re sending out is reaching the right audience? Well, it’s all about location, location, location! Geo-targeting has jumped out as one of the go-to tools that helps you target a specific audience or demographic based on their location. If you’re looking to connect with potential customers in a specific location, it’s a must-have for your social marketing plan. How does Geo-targeting work on social? 1. IP Address: This is where the user logs in from. 2. Recorded Address: The current street address and city/state they have listed. Getting excited? It’s pretty awesome that you can get so specific in reaching your target audience, but I bet you’re thinking: I have to be a programmer or some super smart engineer to navigate all of this. But the reality will surprise you! It’s actually pretty simple to set up. I’m creating a Facebook post for a CrossFit gym in Boston. I was able to set up Boston as the desired location for the post, add ZIP codes of nearby neighborhoods, and choose an audience with an interest in fitness. Targeting to a large audience makes sense at first, but if you’re a small business that’s looking to build a following, you want to be sure to target as specifically as possible. There are two easy ways to target on Facebook. 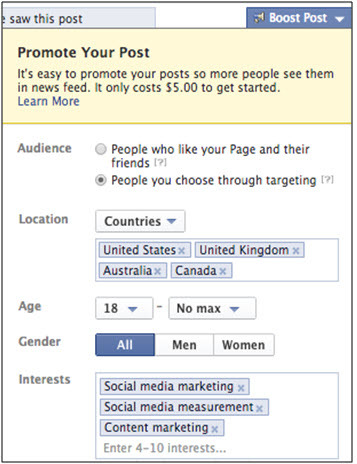 As mentioned above, you’re able to geo-target on Facebook Promoted Posts and Facebook ads. These are tailored to increase your Facebook Page Likes and clicks to your website. For Twitter, you can geo-target Promoted Tweets and Promoted Accounts. If you’re looking for a quick and simple way to start taking advantage of geo-targeting, examine some of the content you’ve posted on Facebook. Do you have an interesting post with links to your blog but with no engagement? This is where geo-targeting can really come in handy. If you’re an admin on your Facebook Business Page, you’ll notice that every post has a small button on the bottom right, titled Boost Post. Watch the amount of views on the social post boost, and the engagement skyrocket. If you’re just getting familiar with your social channels and don’t want to invest in social advertising, there are ways you can geo-target without having to bring out your billfold. With Facebook for example, you’ll notice at the top of the Admin Panel under Edit Settings there is a tab that reads Post Targeting and Privacy. If you turn this on, you’ll see a target image along the tab that has the schedule, location, and image buttons. Now you can add your own targeting to a post without dropping a single cent. Although the post won’t target beyond your current fans, you can segment the content you’re sending to specific audiences within those fans. This may propel them to share with their own friends. By clicking on the People tab in Page Insights, you can see the number of fans you have from different countries and cities. Going back to the CrossFit gym example, imagine that you’re sending out a post that asks fans what exercises they’d like to see added to the routines. While you have fans from all over New England, you want to put an emphasis on the Boston demographic, specifically males. With post targeting, you can quickly reach a specific audience. This way you’re geo-targeting local content without it going to every fan. Now let’s have a look at Twitter, which if used effectively can go beyond post targeting, and help you start generating leads. You can launch a social campaign quickly with Twitter’s easy-to-use targeting feature. Using the CrossFit gym example, the most effective way to start promoting a tweet is selecting the Keywords targeting option. Choosing the Keywords targeting option will give you more leeway on what search terms will be targeted just for you. One of the great things about Twitter is all of the content is public. This means that with the right tool in place, you can search for relevant conversations, and even geo-target. With MarketMeSuite’s Real-time Search you can enter a search term through either Twitter or Facebook, which will then provide results of that given searched term. 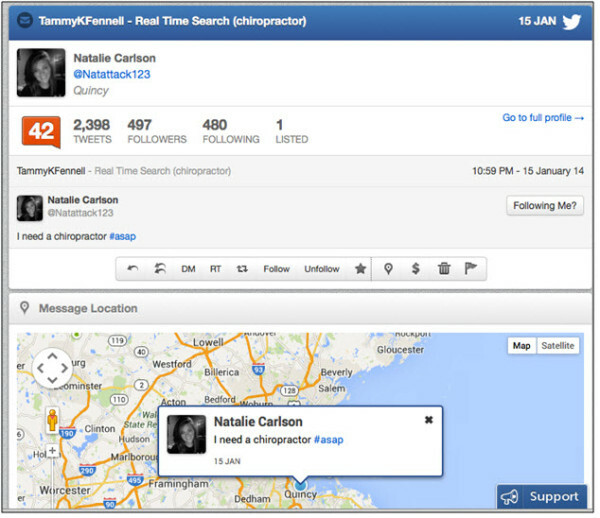 Say you add a Real-time Search for Twitter that looks for every user mentioning the keyword chiropractor. 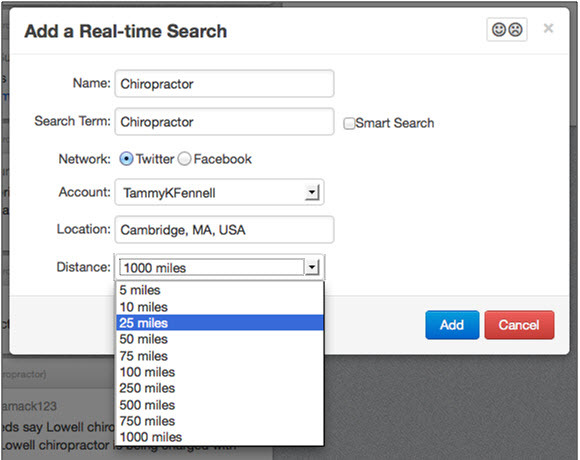 Real-time Search will filter in results from every Twitter profile that mentions that in a tweet. You can filter through those tweets even more by entering a location such as a ZIP code or city. Geo-targeting through Real-time Search helps you find the conversations that are relevant to your business. Having your voice heard across social can be a work in progress. Use a combination of Twitter and Facebook, and layer on some geo-targeting magic to cut through the noise, and find the conversations your content needs to be in. 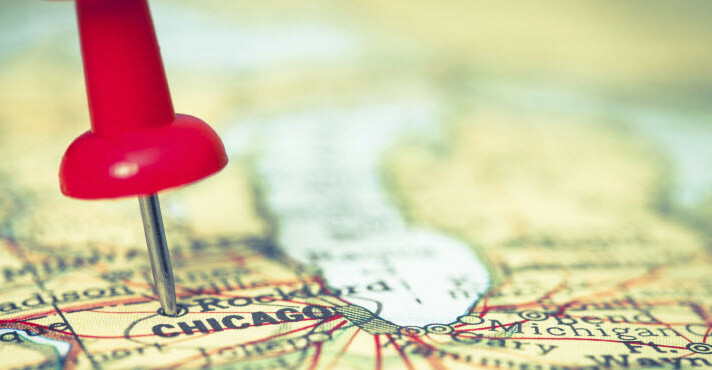 Have you used geo-targeting through your social channels? How do you segment your audience? Let me know in the comments below! MarketMeSuite participated in the pilot of the Constant Contact Small Business Innovation Program. Visit the Constant Contact MarketPlace to learn more about MarketMeSuite’s new integration with Constant Contact!